what doesn’t, but when I write… well, I just write. Let’s be real – if your small business is not on social media, you’re messing up. Everyone and their mother (literally) is on it, so just shut up and get on it. Not sure where to start? Facebook, Twitter, or Pinterest. Yes, there are a million others, but these three are the biggest as of today. Pick one. Build an audience, and then see if it makes sense to get onto other platforms. Let your customers get to know you and your business. Encourage your team to get on Twitter and engage with customers. It’s called SOCIAL media for a reason; be social. When someone follows you, thank them and follow them back. When someone retweets your tweet or favorites a tweet, thank them again and look for one of theirs to RT yourself. If someone voices a complaint or concern, address it immediately. You may not be able to solve every problem, but people are much more likely to forgive and forget if you engage with them and let them know you actually care. Use Twitter to keep followers updated on new products, sales, or company news. Around 73% of users say they want this. Oh man, I let a stat slip. Sorry. Anyway, if someone follows your company and continues to follow you, then they are either looking to learn more about your company, catch some sweet deals, or just want to show their support. Be real. Let them into your world and let them get to know and love you even more. One of the biggest, and most common, mistakes I see small businesses make is getting into social media and then doing nothing with it. Most often its because they try to get onto every platform out there and simply can’t keep up with all of them. Back to what I said before, pick one and start with one. I assume you’re still reading because you’ve decided to start with Twitter. Great, but just starting doesn’t get you very far. You need to stay active. Follow people who follow similar businesses, retweet relevant information, tweet often and monitor your account. I know, I know, you have to run a business too. So how do you make sure your account stays active? A very easy method is to utilize one of the many tweet scheduling tools out there. Simple. Use the scheduler to schedule updates, coupons, news, etc. Make sure thank you responses, retweets, and interactions are done personally. I schedule a lot of tweets, because I simply cannot be tweeting constantly, but I schedule time throughout everyday to interact with my followers and take the time to get to know them. For your scheduling, I suggest HootSuite. Not only do they have a great FREE edition, but they also offer some awesome paid levels and they are a great source of social media news and education. Oh yeah, they’ve also got this whole “tracking social media” thing figured out. Even their basic free analytics work great and can provide you with more than enough info to help build your campaign and find your Twitter voice. What do you provide for your followers? What do they care about? What gets them engaged? And more importantly, what gets them to buy from you? Test and track tweets with pictures, articles, blog post, coupons, company news, etc. and measure what works best with your followers. Then just do more of that. Yeah, it’s that simple. It just takes some time and effort. Don’t freak out if a tweet gets zero RTs or favorites, just try another one. You can also try the same tweet at different times or in different ways. Maybe a picture added to your special twitter coupon will boost its effectiveness. Maybe it won’t. See, I’m not going to sit here and type a bunch of nonsense, claiming I have the end-all solution for your business. I don’t know your business. I don’t know your customers. All I know is what has worked for me. I’ve had tweets that got just 1 retweet, but lead to 50+ people clicking a link to my blog or site. I’ve had tweets that got nothing publicly, but initiated a direct message or email from a follower asking for advice or purchasing a service from me. I’ve had a few tweets that got zero attention during the day, but grabbed several RTs after midnight. Yeah, I have some late night tweeters who follow me. You will too. Or maybe you won’t. All I know, is you won’t know unless you track it. Obviously, there are more than just three things to worry about, but make sure you’re being real, engaging with your followers, staying active, tracking your tweets, and measuring your success. 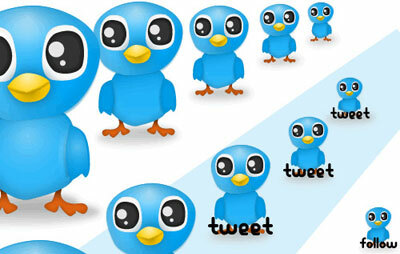 Twitter can be an awesome marketing tool for your business if used correctly.